Rudo based in Guadalajara. 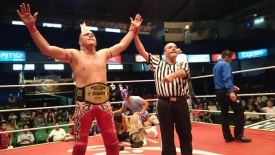 Wrestled on the Dantes family indy shows until Apolo Dantes took back over Arena Coliseo Guadalajara, and was one of the guys brought with. This page was last edited on 29 June 2018, at 18:46.